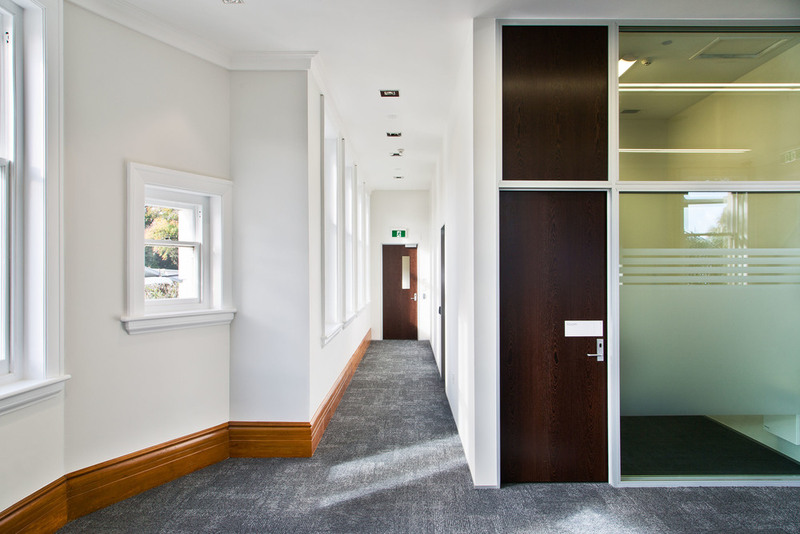 S&T along with Impact (Project Managers) and Miyamoto (Structural Engineers) completed the seismic upgrade and revamp of the 101 year old Masterton District Courthouse. The building was closed suddenly in 2011 after a seismic report found that the building had the potential to collapse in a significant earthquake. The solution lay in a Fibre-Reinforced Plastic ‘FRP’. This system connects individual bricks of the external masonry walls together, allowing the walls to move as one mass in the event of an earthquake. The benefit of this system is an unobtrusive finish resulting in no visible steel beams, columns or cross-bracing affecting the original character of the building. Whilst the building was under construction, designers took the opportunity to re-plan the internal layout creating a more cohesive flow amidst the maze of secure corridors. Additional public waiting areas were provided along with improved access to public counters and facilities. Enhanced internet connectivity for Audio Visual Links enables prisoners to appear remotely in court from prison. The roof was completely replaced and with careful detailing the designers were able to create a seismic diaphragm throughout the roof plan to help support S&T's hard work below. A new external colour scheme was also chosen with a nod to the historic Oamaru Stone Building's façade. Holmes Construction, local Wairarapa contractors, completed the project to a professional level.